Peggy Smith knows her way around a kitchen. Born in Texas and raised in Northern Virginia, she started her culinary career serving hearty suppers to food and folk music lovers at Gallagher’s in Washington, DC. 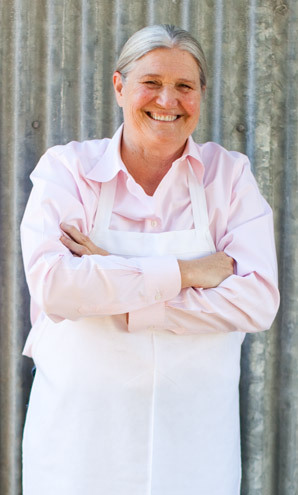 Her move to San Francisco in 1976 coincided with the food revolution begun by Alice Waters. Peggy was inspired, and kept her eye on Chez Panisse while developing her cooking skills at places like Noe Valley Bar and Grill in San Francisco, and Mount View Hotel in Calistoga. She had to submit her resume a dozen times, but her persistence paid off: in 1980, she was hired to cook at Chez Panisse’s new upstairs Café. For the next 17 years, Peggy worked the stove, preparing dishes made from vegetables just out of the garden, fruit right off the branch, and fish straight out of the sea. Over time, she managed the Café kitchen with Catherine Brandel and cooked with Jean Pierre Mouile, Paul Bertoli and David Tanis in the downstairs restaurant. 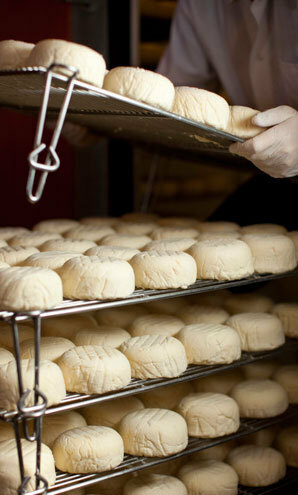 When Chez Panisse had cheese questions, they looked to Jean Pierre Mouile as well as Jean and Pascale D'Alos, master affineurs, for the answers. 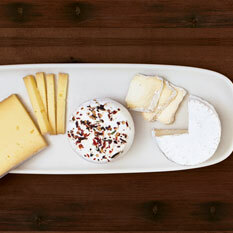 Over the years, Peggy learned the philosophies the family used in selecting and caring for artisanal cheeses. Then the folks from Neal's Yard Dairy in London brought fine English farmhouse cheeses for the chefs to taste, and Peggy was hooked. 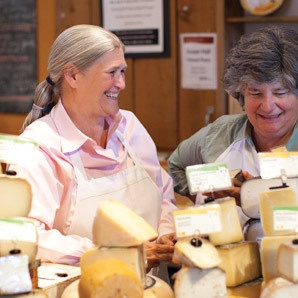 When Sue asked her to consider starting a cheese company in Point Reyes, she agreed. At company HQ in Petaluma where she oversees operations while working on that book about the making of Cowgirl Creamery.